Roman Rescue: Who Will Save The Hero? Maggie has always been a sassy, headstrong Southern girl. But running off to Rome, Italy on summer break from college is the most impulsive thing she’s ever done. Her brother is in trouble, and she’s determined to rescue him- after all, he’s the older, wiser, military officer who has never needed her help before. Paul is in a mess with an Italian ex-girlfriend who has cut ties with him…but is pregnant with his child. Maggie thinks she can fix it. After all, a break from her life would be nice, too. She just broke up with her long time boyfriend, and her estranged mother keeps hopelessly trying to reconnect with her. Italy sounds like the perfect refuge. Until she meets Paul’s best friend, Marine Sargeant, Luke Seager. He complicates things in every way. He persists to play tour guide and asserts his way into her plans at every chance. Maggie prefers to become a hero on her own, but as she digs into the truth about Paul’s predicament, danger builds around them. While the tension and mystery grows, so do her feelings for Luke- a man with his own shrouded past. Nothing is as it seems when Maggie gets more than she bargained for with the girlfriend’s mafia ties, Luke’s dangerous connections, and unexpected guests from home. Finding out the truth lands Maggie in more trouble than she can escape. Who will save the hero now? 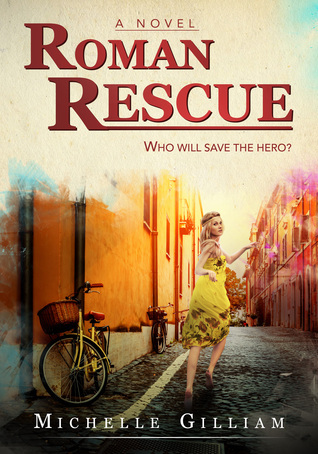 Look what People are saying about Roman Rescue: Who Will Save The Hero? 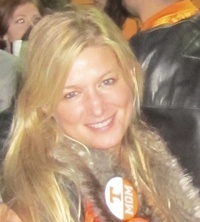 Michelle Gilliam, BSN lives in Tennessee with her husband and three sons, two of which are college football players. She was raised by a southern mother and a British father and her accent is quite a mess with California, Florida, and Texas influences. She loves to read, analyze, and create. But all of that comes after a good cup of coffee and a conversation with a close friend or while treating her patients. That and her dreams are the source of her stories. She first began writing poetry and it is apparent when you see the use of descriptive launguage as she paints rooms, international settings, and people.